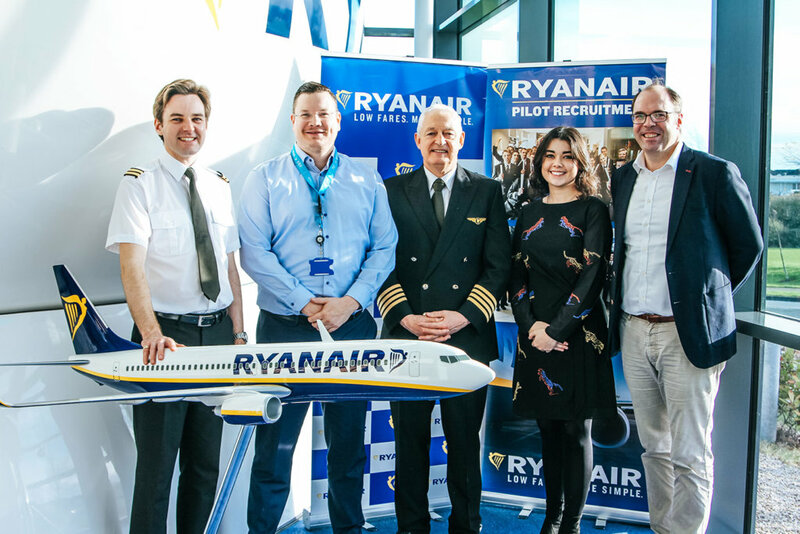 Ryanair, Europe’s No.1 airline, today (30 Nov) announced a major new training partnership with ATO SKY4u to deliver a Ryanair Airline Pilot Standard (APS MCC) programme in Berlin and Vienna. The partnership will ensure Ryanair continues to attract highly trained professional pilots to support its continued growth across Europe. This new EASA approved enhanced MCC programme gives trainee pilots a structured path to achieve an exceptional training course and reach a standard where they are ready to join the Ryanair Boeing 737 Type Rating programme. Pilots on the programme will be trained by SKY4u instructors, using Ryanair procedures as they take their first steps towards becoming Ryanair pilots and over the course of the next 4.5 years, up to 450 new pilots from across Europe will be recruited and trained by SKY4u, underlining its respected position in the pilot training market.